I had no idea where my year would take me and certainly not thinking television by any means! What?! That never ever crossed my mind. 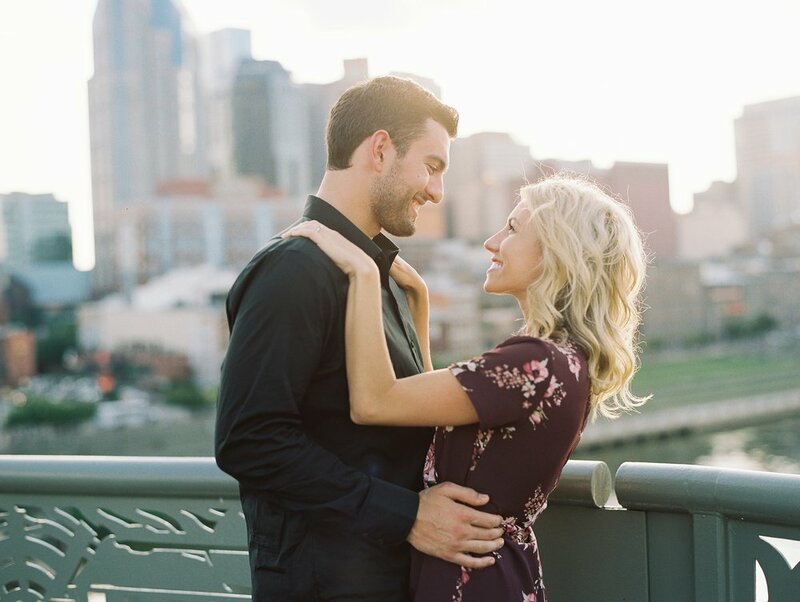 However after some incredibly sweet emails and a meeting at one of the prettiest venues in Arkansas I found myself agreeing to photograph this AMAZING couple’s engagement session. 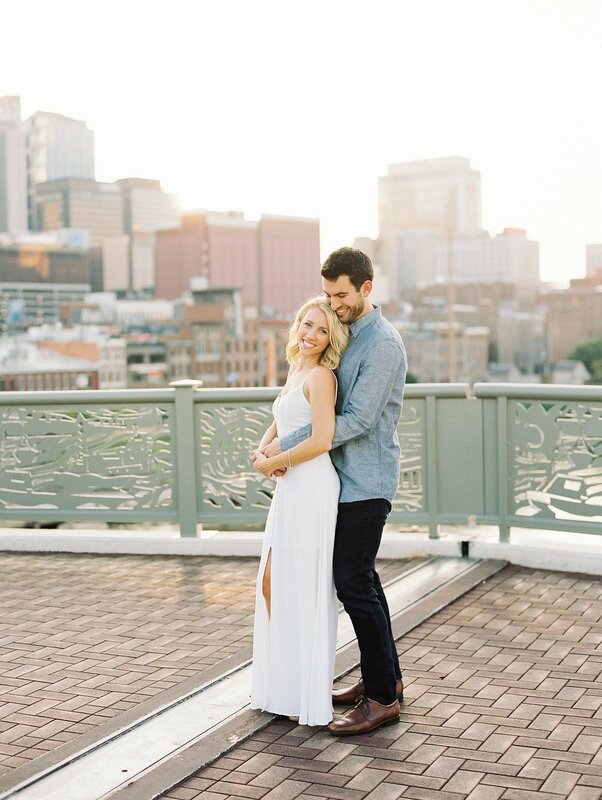 Jessica Mack a main cast member of the show Music City on CMT and she got married to the love her life Andreas Plackis this last year in the summer of 2018. She’s truly the sweetest tiniest little human on earth and I was so shy and nervous to meet her but she’s the kind of person who makes everyone feel so comfortable. 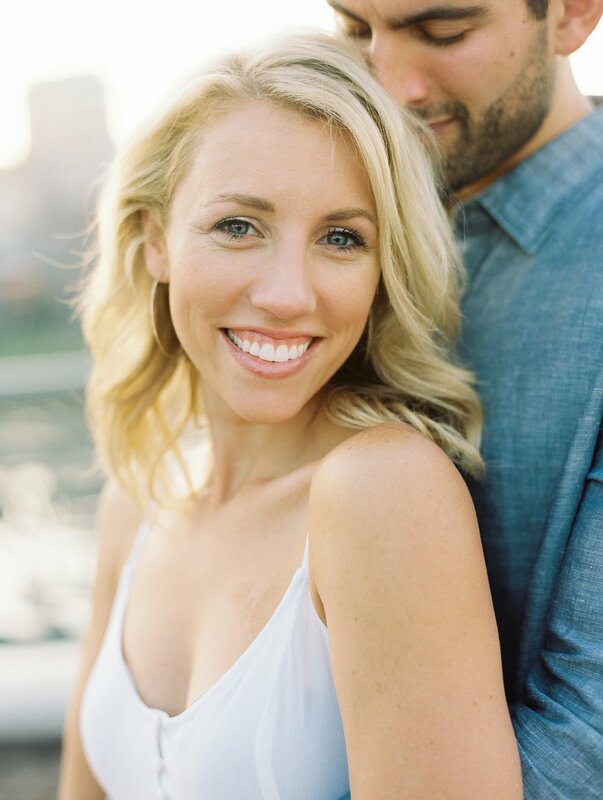 We met to talk about her wedding and all involved and she asked me if I would be okay photographing their engagement session session on camera as part of an episode and I agreed (not even thinking about what that meant…I’m more the kind of person who likes to be behind a camera…not in front of it). 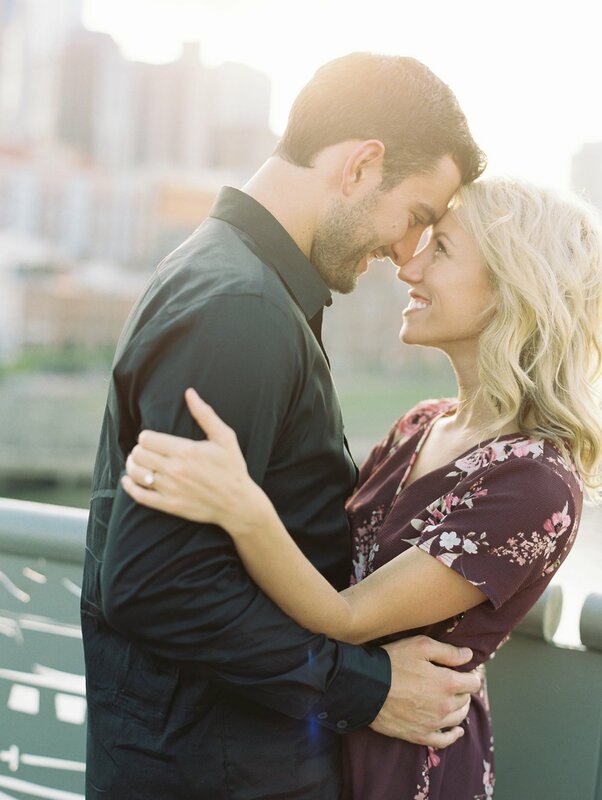 However it all happened and we planned to photograph their beautiful love on camera at the walking bridge downtown Nashville Tennessee (one of my favorite places). 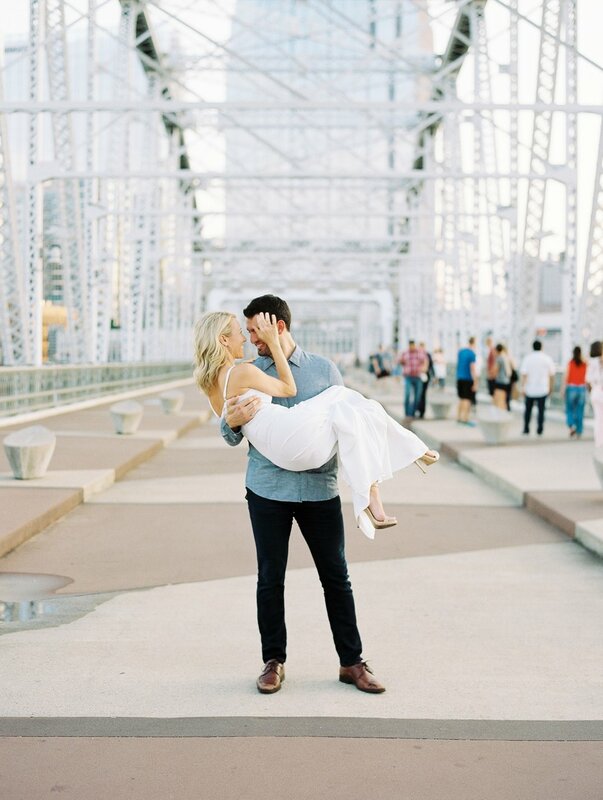 Jessica didn’t know at the time but this place is also so special to me because on our tenth wedding anniversary my husband Josh re-proposed to me with a new wedding ring on that very same bridge. So it was so sweet to be there again creating beautiful images for a deserving couple. 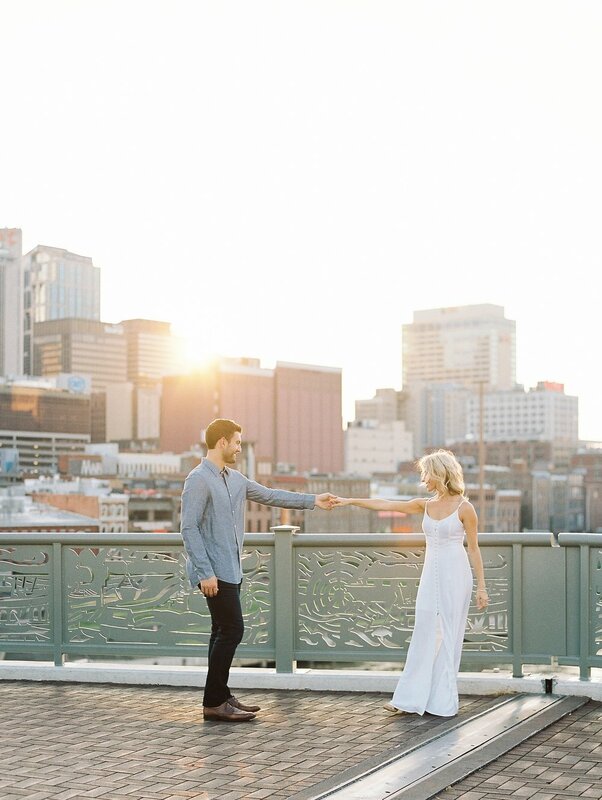 I absolutely adore them and I cannot wait to share more from their wedding. We laughed a lot and the light was absolutely stunning that day. I loved getting to know them more and getting to meet Dre for the first time. He is SO fun and makes us all laugh. They both have the most gorgeous smiles and I love them together. Be sure to check out the second season of their show Music City on CMT airing January 3rd 2019. You might catch a photographer you recognize in the trailer. :) Congrats Jessica and Dre!